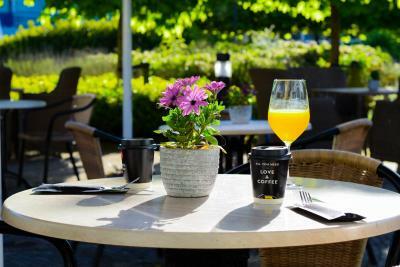 Lock in a great price for Van der Valk Hotel A4 Schiphol – rated 8.2 by recent guests! I liked the park with the geese, hares, ducks, swans . I loved the layout of the rooms, new modern . Great airport hotel ! 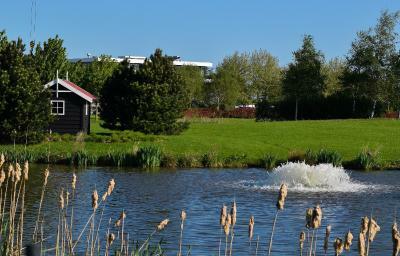 Services at this large complex of casino and hotel are excellent, especially the shuttle service to and from Schiphol. In regards to the hotel the staff was really attentive, also the free parking. I forgot my camera and went to Japan, they're helping me, and shipping my camera to me right now, staff is always helpful. Be careful the staff is sometimes swamped with customers they are usually very busy, try them in the evening or afternoons for small helpful things, but check in or check out times they are swamped. The place is nice and good ambiance. Excellent food. The service was excellent, as was the dinner and service we had at the restaurant. Super efficient and friendly. Very accommodating as well, with early/late shuttles and switching reservation dates. 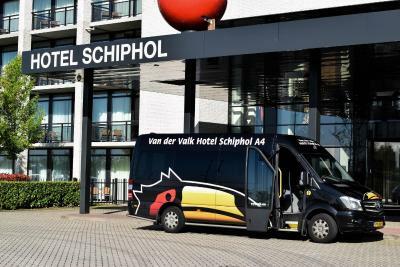 I have been to the SchipholA4 hotel before, and usually alone. Every time everything is so comfortable and so responsive to my need. The transportation to and from the airport, the early check-in. This time I ate with my guests in the Brasserie, very nice. Rooms are roomy, clean and comfortable. It made my trip. And everywhere there were flowers. The bed was comfortable and I liked the layout of the room. 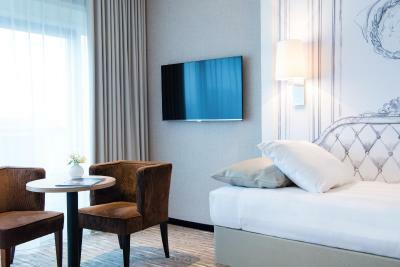 Van der Valk Hotel A4 Schiphol This rating is a reflection of how the property compares to the industry standard when it comes to price, facilities and services available. It's based on a self-evaluation by the property. Use this rating to help choose your stay! Van der Valk Schiphol is 10 minutes’ drive from Schiphol Airport and 13 mi from Amsterdam. Guests benefit from the free shuttle service and free WiFi throughout the hotel. Guests benefit from free parking during their stay at the hotel. 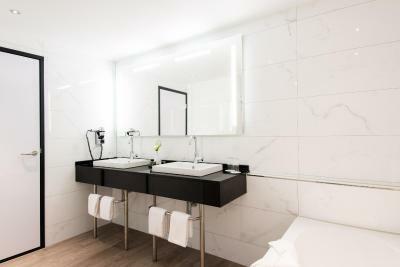 All rooms and suites at Van der Valk Hotel A4 Schiphol have a balcony or terrace and a private bathroom with a shower and/or bath. An extensive buffet breakfast is served daily in the restaurant. International dishes are offered at lunchtime and in the evening. Van der Valk features an extensive wellness center including an indoor swimming pool plus a sauna, steam bath and more. There are also unique heated lounge chairs where guests can relax. 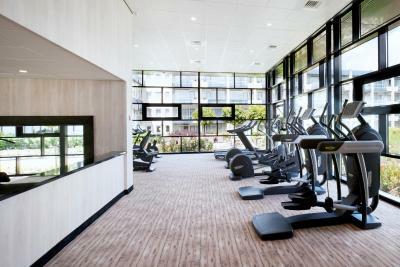 In addition, the hotel offers a gym with all modern high tech equipment, as well as an outdoor tracking field. 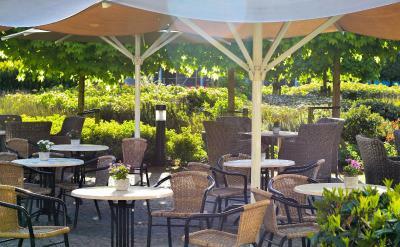 Van der Valk Hotel A4 Schiphol is only 20 minutes from the RAI Exhibition Center and the Keukenhof. 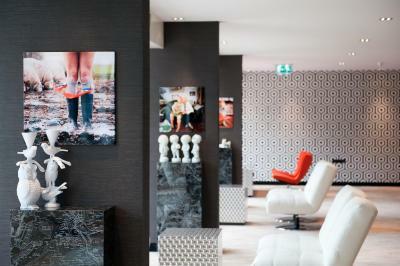 When would you like to stay at Van der Valk Hotel A4 Schiphol? This room features a balcony. The bathroom has a shower cabin. Free WiFi is available during your stay. Includes free parking during your stay in the hotel. The Budget twin Room offers twin bedding. The bathroom has a bath and a separate shower cabin. This room features a balcony or terrace. Free WiFi is available during your stay. Includes free parking during your stay in the hotel. This Budget triple room features a seating area, cable TV and air conditioning. Includes free parking during your stay in the hotel. This quadruple room features air conditioning, satellite TV and soundproofing. It comes with free parking during your stay in the hotel. Please note that the room sizes vary. This room has a contemporary design with Hypnos beds. It features a semi-open bathroom with a walk in shower. This room is located in newest wing of the hotel. Pets are not allowed in this room type. 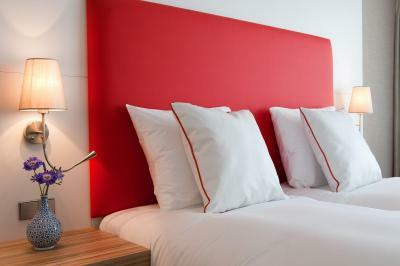 The Deluxe Twin Room is fully renovated and spacious. The bathroom has a bath and a separate shower cabin. This room features a balcony or terrace. Free WiFi is available during your stay. This triple room features a seating area, cable TV and air conditioning. It comes with free parking during your stay in the hotel. 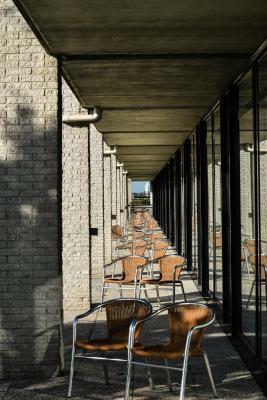 Hotel Schiphol is part of the van der Valk chain, a family chain with over 60 hotels in the Netherlands and well known for the price quality ratio. 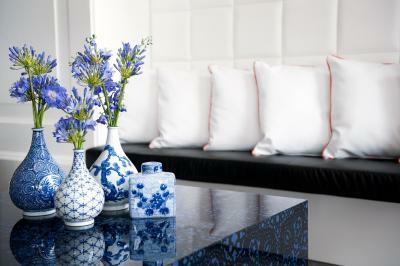 House Rules Van der Valk Hotel A4 Schiphol takes special requests – add in the next step! ATM card Van der Valk Hotel A4 Schiphol accepts these cards and reserves the right to temporarily hold an amount prior to arrival. Van der Valk Hotel A4 Schiphol accepts these cards and reserves the right to temporarily hold an amount prior to arrival. Parking on-site is free of charge, during your stay in the hotel. Please note that long term parking is not available at the property. The free hotel shuttle bus will take you to the airport between 05:00 and 23:40. The shuttle bus departs at the Airport between Hotel bus stop A9 and A13. In case you need to be at the airport during the night, the night shuttle bus will take you for an additional cost of EUR 7.50 per person (children up to 11 years EUR 5.00). This offer is based on availability and to be booked upon check-in. Please note that guests with children older than 2 years old need to book a family room. The room is good size but sadly there is no fridge which is a little negative for me. I like to drink fruit and veg juice without fridge it is impossible to bring them in to keep in your room. Didn't provide enough pillows and the pillows provided are very soft and thin. Very good breakfast, large varieties so far best about the hotel is breakfast. Love the spread of the fruits, pastries, cold meat, cheese usually already prepared scrambled eggs never taste good but in this hotel it tastes very good. Excellent breakfast, very strength Wi-Fi signal, comfortable and clean hotel! I recommend! No kettle for coffee in the rooms which is standard in all other v/d Valk hotels. Apart from that everything was fine. Good hotel and on good location. Lovely hotel and attentive staff. Tasty breakfast every morning and nice menu selection for dinner. Loved the swimming pool and outside area at the back of the hotel (great for evening walks). Very easy and comfortable to access the airport for commute with the hotel's shuttle bus. The hotel met and exceeded our expectations - we loved it here! The staff is not friendly enough- not warm at all and also very police like in attitude.staff need more training there. Breakfast was excellent- the problem is they initially put us up in a room in a wing that was horrible, toilet did not work, tv did not work.they told us that wing is about to be demolished and they do not put up their clients there- only clients from booking.com. So, they are giving the worst rooms to booking .com clients. Also the photos on booking.com were deceiving.we have been moved to a better room but asked to pay for an upgrade.in the end the manager canceled the charge for the upgrade but still was very uncomfortable and we waasted 2 hours moving rooms when we had only 1 day to spend in Amsterdam. I did not realize the distance of this hotel from central Amsterdam. The hotel is part of a casino complex found southwest of Schiphol airport. I don’t like feeling nickeled and dimed for everything. Almost felt like we were in a cruise ship — everything was available for an additional fee. Don’t like that feeling. No refrigerator in the room, c’mon! For a luxury deluxe queen room?! Coffee machine in room was a non name brand. First thing asked when you turn on TV is to buy channel add ons. Would’ve rather stayed in a smaller room and hotel with a few more amenities. No free holding of lugggage after check out. Its a 15 minute shuttle ride to Schiphol. Love their breakfast. Our luxury room is beautiful and comfortable. In the shower water was coming out from the drain if we used the bathtub. The best buffet breakfast I have ever had! Price was reasonable and service was excellent!